Technology – where would we be without it? Over the years, technology has proven to be an integral part of a successful business. Now more than ever, small businesses rely on tech to make more happen every day. We are accomplishing things at a rate we never thought possible and doing so with ease. In a world hyper focused on technology, it seems almost impossible to think of a time without it. Here at ITC, we know how beneficial tech can be for your company. We recently talked about How Cloud Technology Can Help Your Business. Advances such as these have created an immense amount of business opportunities. Below contains a few benefits technology has provided to small businesses over the years. Let’s take a walk down memory lane and remember the inner workings of a business only a few decades ago. There was no e-mail, Internet, or iPhones – everything happened with pen and paper and a landline telephone. Before smartphones, your only chance of reaching someone was crossing your fingers and hoping they were at their desk. Many times, they wouldn’t be, and you would spend the rest of your day playing phone tag. Fast forward to today and communication is now instantaneous. Individuals are now reachable no matter where they are via text message or e-mail. Communication has never been easier and has created efficient businesses because of it. The last two decades have marked a massive increase in tech use in marketing. Though traditional marketing is still used often today, it would be a completely different ballgame sans tech. Technology has become a fantastic tool that gives word of mouth more power than ever before. With a click of a finger, small businesses can toss aside printed ads and focus on creatively reaching new and diverse customers. Internet marketing ranges from an informational website, to advertising on social platforms, to search engine optimization. With technology, we are able to track the progress of our marketing efforts and place emphasis on certain areas depending on data. If done well, it can improve a company’s reach and help turn local businesses into international businesses. There is one thing in life that I know to be true: we would all be lost without tech. Thankfully for us, it is not leaving anytime soon. Though, when it comes to productivity, technology can be a blessing or a curse depending on how we use it. Avoid aimlessly scrolling through your Facebook feed and increase your productivity with technology. Utilize the right tools for your business with programs like Wunderlist and Slack. These are perfect for communicating and keeping your team on task by sending daily reminders of what needs to get done. With technology, routine and mundane tasks can take place without wasting an enormous amount of time. Optimizing your productivity in the office starts with an understanding of how technology can benefit your business. Much has changed over the course of a few decades regarding technological advances. 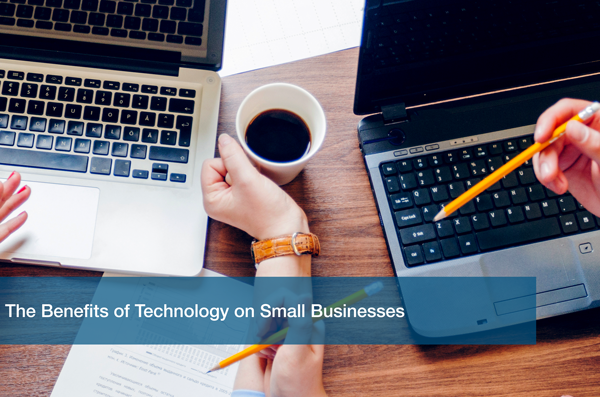 Here at ITC, we know how important technology is when running a small business. We also know how confusing it can be. That’s why we focus on your technology so you don’t have to. Call us today to Schedule a Free IT Analysis so we can find the right tools for you.